Treat your feet! After a long, hard day on your feet, try the Natural Body Collection Foot Rub from our friends at Moon Valley Organics. Whether it’s after a marathon or long trek through the mountains or just a day at the office, the Peppermint Foot Rub followed by the Moon Melt Lotion Bar will be a welcome “home day spa”. 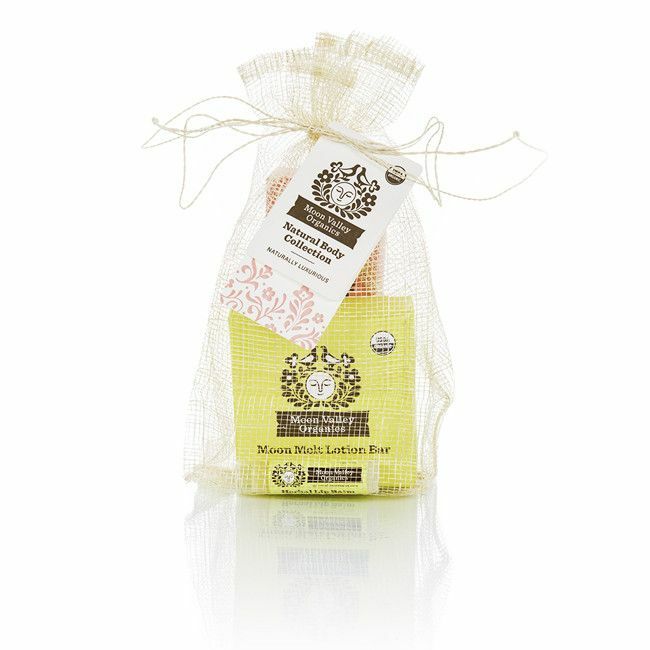 The Peppermint Foot Rub is formulated with arnica and lavender and a sprinkling of mint to provide you with natural, comforting pain relief. The Moon Melt Lotion Bar is a travel friendly bar in a lovely tin, and the beeswax and natural herb formulation is ultra nourishing to your dry skin. And so your lips don’t feel left out, they’ve even included a Herbal Lip Balm in this set that can double up as a great eye cream and makeup remover! All Moon Valley products are made from sustainably grown organic ingredients from their “farmacy” in the foothills of Washington’s Cascade Mountains. Plus 10% of the net profits from the sale of their Herbal Lip Balm are given to organizations that help save the bees. A winning combination of fantastic products and a company that is “bee-ing” responsible!